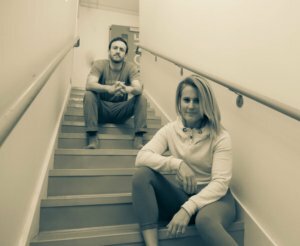 Williwaw Social, Midnight Sun Brewing Company, and the Studio are stoked to present the winter session of Yoga + Beer in the Social Hall at Williwaw Social! 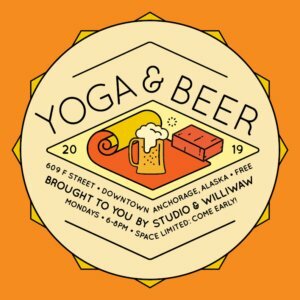 Featuring Midnight Sun Brewing Company craft beer, handcrafted food, and yoga teachers from Studio every Monday night from 6-8pm – the 1 hour yoga session starts at 6:30 pm sharp. $250 if registered April 20th or later. Dosha, also known as “the inherent intelligence of the body”, is our natural constitution or individual “make-up”. In Ayurveda tradition, there are three distinct Doshas- Vata, Pitta and Kapha. Each individual has a specific Dosha type or can be a combination of two and sometimes have characteristics of all three. Doshas impact all the functions of the body influencing our appearance, our metabolic functioning and overall wellbeing. Identifying your Dosha is an important step to deepening your yoga practice through Ayurveda. We will cover each dosha in depth and encourage you to discover what life style changes may improve your physical body, emotional wellbeing and lifestyle for optimal health…mind, body and spirit. Join us for the fourth installation of Hip Hop Yoga. Join us for an energizing, upbeat, flow class which will inspire and awaken your body to the latest beats.